BEYONCE KNOWLES arrived to host the special screening of “Beyonce Live at Roseland: Elements 4 2011,” at Paris Theatre in New York City on November 20. When Beyonce took the stage back in August this year for four nights at the famed Roseland Ballroom, only 3,500 lucky fans per night were able to catch the intimate shows in the historic New York venue. It was the only time she would perform her new album, 4, almost completely and to a very limited audience. Backed by her all-female band, with an additional string section, the performances were punctuated with spirited stories detailing her journey before the album, 4, including her years before and with Destiny’s Child. 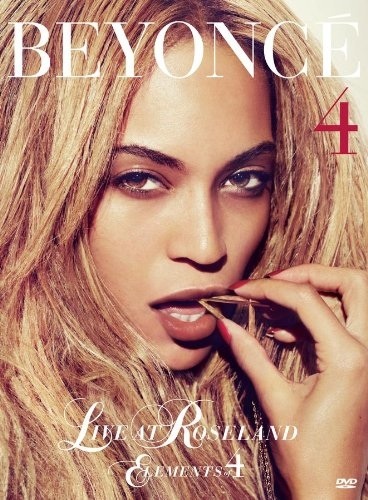 Fans who longed to be at those shows can get up close and personal with Beyonce and experience for themselves the energy and magic that filled the Ballroom with Live At Roseland: The Elements Of 4 deluxe package. A two-disc DVD, with the complete concert, bonus offstage footage, a 20-page booklet and a video anthology that includes videos from her latest album, 4, will be released on the 2nd December. The concert documentary is filled with never-before seen footage that captures Beyonce’s life from eager five-year-old music fan to a consummate entertainer who is in control of every inch of her life and career. This entry was posted in Beyonce, Event, Music and tagged ジェイZ, デスティニー・チャイルド, ビヨンセ, ビヨンセ・ライヴ・アット・ローズランド, BEYONCE KNOWLES, Beyonce Live at Roseland: Elements 4 2011, Destiny's Child, DVD, Paris Theatre. Bookmark the permalink.